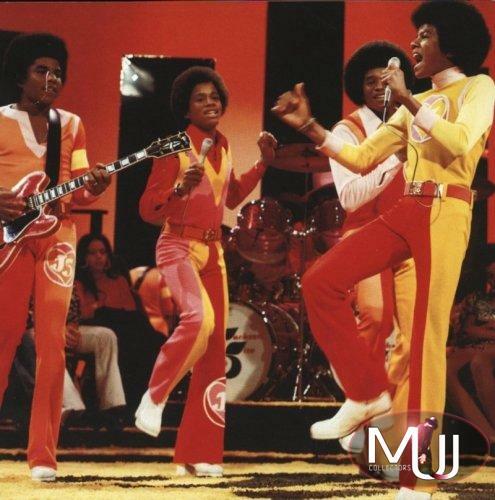 Orange and yellow costume designed by Bill Whitten for the Jackson Five worn on "The Jackson Five" TV show from 1972. 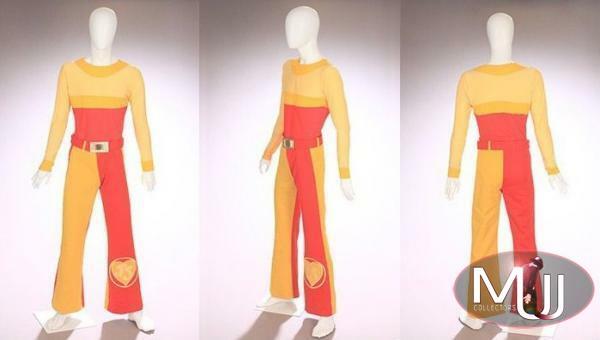 Costume is in hues of yellow and orange-red, comprised of a collarless shirt, bell-bottom pants and Velcro closure belt. 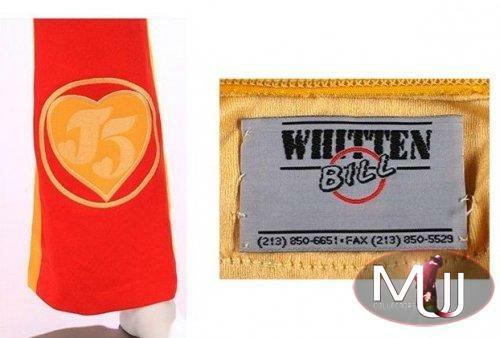 Each bear the Bill Whitten label. 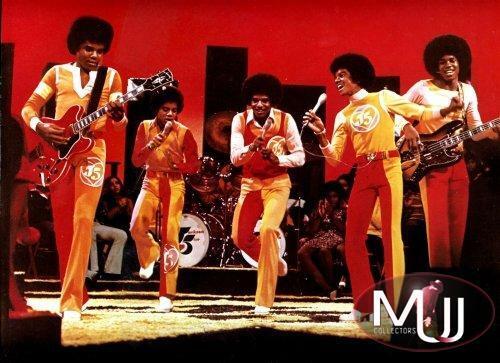 Jackson 5 logo at shin of left pant leg. 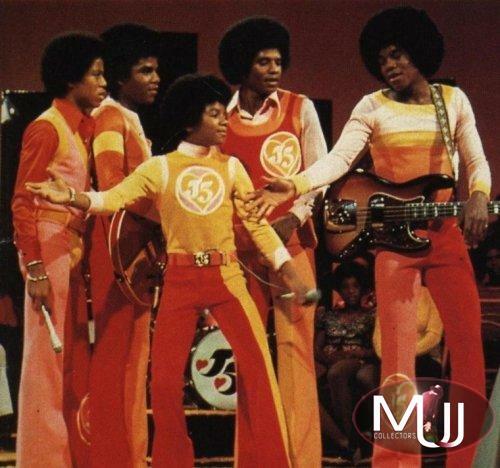 The shirt is similar to the shirt worn by Jermaine Jackson and the pants closely resemble the pants worn by Michael Jackson. 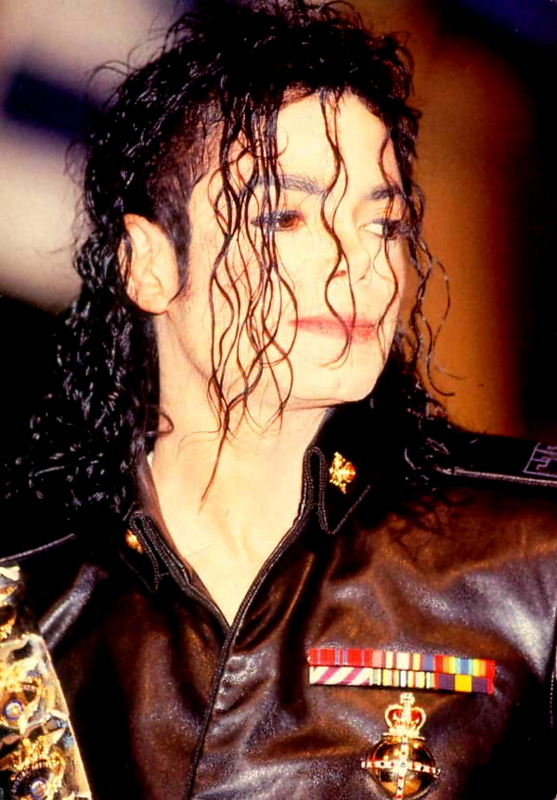 Sold by Julien's Auctions (Lot #284) for $3,840 at their 2009 Music Icons auction. All screen captures are the property of their respective owners.